Posted on Thu, Feb 16, 2012 : 4:30 p.m.
State Senate Majority Leader Randy Richardville has introduced a bill in the Michigan Legislature that would bar graduate student research assistants from unionizing, the Detroit Free Press reported. The issue is a controversial one at the University of Michigan, where GSRAs maintain they are employees and want to unionize, but the university says they are students and don’t have the right to form a union. The unionization attempt initially received criticism from U-M administrators, but the school's Board of Regents voted in May to approve GSRAs right to unionize. After the regents' vote, GSRAs sought permission from MERC to unionize, but were initially denied. A group of GSRAs and advocates appealed that denial, and MERC voted to let an administrative judge decide whether GSRAs should be allowed to unionize. Several deans at U-M and the Faculty Senate Advisory Committee also have opposed the unionization effort. 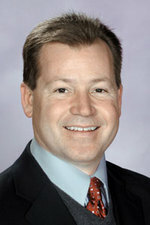 Richardville is a a Republican from Monroe who represents part of Washtenaw County. Sat, Feb 18, 2012 : 3:26 a.m. He can't do it, because it against the constitution, lol. I'm sure I read &quot;In order to form a more perfect union&quot; somewhere before. Oh yeah, and &quot;We the People&quot;, I know I did. Did I miss something? Fri, Feb 17, 2012 : 8:15 p.m. I'm slowly getting pushed into the pro-union camp by these tactics. I say let them vote &amp; decide for themselves, for crying out loud. When the Republicans try to stop them from voting, it's clear they've got inside information that a majority of the grad students will vote for a union. Also obvious is the fact that these Republican legislators have no idea what goes on in a university research lab. When I was a grad student, everyone knew there were some professors you wanted to work for and some you did not. Fri, Feb 17, 2012 : 1:53 p.m. However, let us not engage in class warfare. That would be bad. Another republican assault on unions and the working guy. Why don't we just ban the poor and middle class from living in Michigan altogether? After all, wouldn't that solve all of Michigan's problems? It would create the perfect state then, wouldn't it? Fri, Feb 17, 2012 : 2:43 a.m. If you can't win in court then just use your majority in the legislature to jam through your desire. Randy never would have become a UM grad student, that's obvious. This legislature is setting new records for stupidity. Randy, don't give up your day job. Opps, this is it? Then get a new one. MickeyDick is hiring, you might make the grade there. Fri, Feb 17, 2012 : 1:39 a.m.
Another example of rich fat cats union busting! Fri, Feb 17, 2012 : 12:53 a.m.
Just another reason on my laundry list to dislike Richardville... If you asked him what color the sky is, he would go to his republican handbook before answering. Thu, Feb 16, 2012 : 11:47 p.m.
Anothr Republican trying to pass a law that prohibits freedom. Are they workers or indentured servants? Thu, Feb 16, 2012 : 11:35 p.m.
What is the premise arguing for unionization? Are there conditions which are below standard? Are there bosses who abuse in any way their authority over workers? How does the wage scale compare with the same kinds of work in other places? What are the qualifications for those jobs? How easily are workers replaced? Come on, lets have some relevant information on this situation. The LAST thing we need is another politician DECIDING about legitimate livelihood issues for American workers. The Republicans have been &quot;so good&quot; to American job holders, yet I suppose some people still &quot;complain&quot; (about losing their jobs, homes, standard of living, freedom to travel, etc.). Fri, Feb 17, 2012 : 7:57 p.m.
Townie: I think you misunderstand my position. If you re-read my post you'll see I ASK FOR information. I'm not advocating anything. You seem also to have misread my sarcasm (that's okay) about people &quot;complaining&quot; of loss of homes and jobs. Actually, I agree with your suggestion: lets hear from the graduate student workers. Fri, Feb 17, 2012 : 2:46 a.m.
How about a vote to ask the people involved? Not a difficult concept. Kinda like 'democracy', don't you think? What are you and Randy afraid of? That the people doing the work - a majority of them - wont' agree with you? I guess voting in a democracy isn't right? Please help me understand. Thu, Feb 16, 2012 : 11:33 p.m. Thank you Senator Richardson. For a minute I thought there was someone there out that you weren't going to mess over. Thank for getting around to the grad. students. Now get out there and find a lost puppy to kick. Thu, Feb 16, 2012 : 10:38 p.m.
&quot;The issue is a controversial one at the University of Michigan, where GSRAs maintain they are employees and want to unionize, but the university says they are employees and don't have the right to form a union.&quot; Let me re-phrase this for you: &quot;The issue is a controversial one at the University of Michigan, where the Graduate Employees Organization and some GSRAs maintain they are public employees and want to unionize and the university, through the a party-line vote of the Regents, also supports their right to unionize.&quot; The controversy is that, from my viewpoint as a GSRA, the GEO (the union representing Graduate Student Instructors) is attempting to increase their membership and fatten their bank accounts through a power grab by convincing GSRA's that they need protection. Fri, Feb 17, 2012 : 5:33 p.m.
Fatten their bank accounts? Clearly you have never spent much time with graduate students. They often fight over free scraps of food. Fri, Feb 17, 2012 : 1:29 a.m.
Thu, Feb 16, 2012 : 9:50 p.m. I guess Randy didn't learn from Wisconsin that taking away workers freedom could be hazardous to his career.